Back in March, I posted some URLs that allowed you to get back some search features that were removed by Google from the search interface: forum search, recipe search and more. It looks like forum search is no longer available. "Google completely disabled it so now you can no longer filter Google search results by discussion forums," reports Barry Schwartz. It's sad to see that Google removed a very useful feature that allowed you restrict results to forum threads, while keeping the app search feature, which mostly returns mobile apps and Chrome extensions. 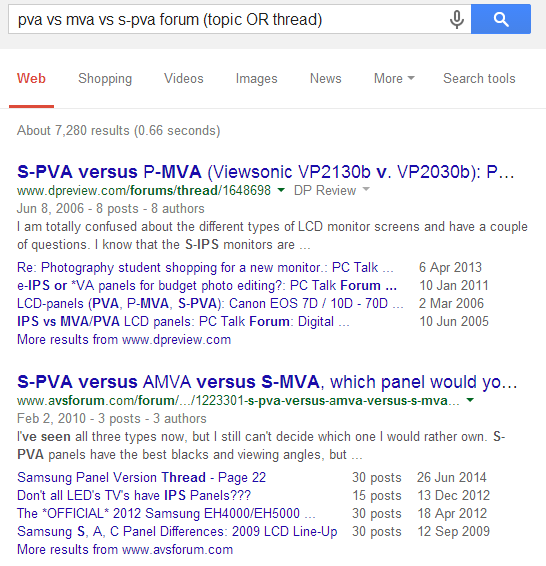 As a workaround, you can add "forum" or "forum (topic OR thread)" to your queries.